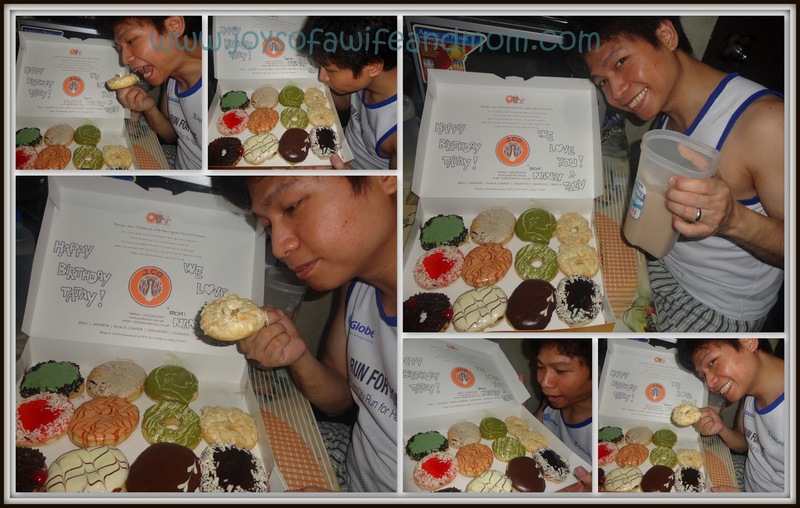 Joys Of A Wife And Mom: Celebrating Hubby's Birthday with J. Co Donuts! 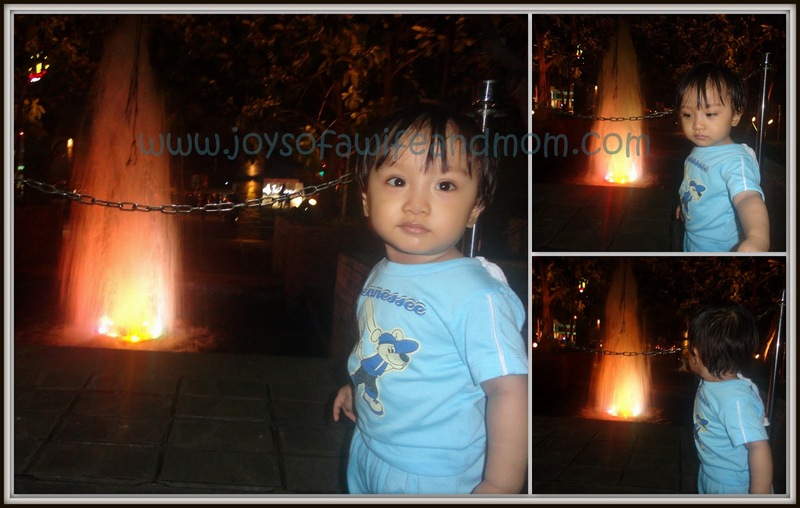 After our lunch at Adobo Connection, hubby and I decided to take Trev to Trinoma so he can play again at Kevin's Toys & Library. 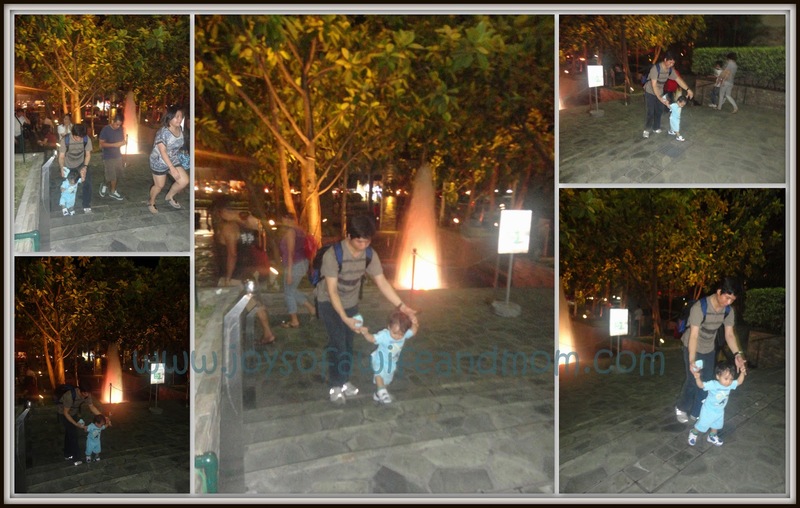 Here are some pics that Allan took while Trev was playing. I was hoping it wouldn't take me more than an hour before I could finally buy my most craved donuts (at the moment), but it took me an hour and a half before I was able to get my order! Waaaahhh! But, I was happy! Yey! At last! It's amusing too that when you fall in line that long, it's not impossible that you get to meet new friends. While I was in line, the person at my back and the one in front of me too were already my ka-chika before we were even able to get our orders! Until this very moment, I am still puzzled why the line at J. Co is so long almost all the time! You see, when it was my turn, it took me just less than five minutes to tell the crew what donuts I want, then I was done! But why oh why the loooonnnggg lines?!? Look what I wrote on the donuts' box! Kunwari na lang cake yung donuts! Hihi! Trev was so curious! Probably because of the colors. Would you believe that we ate 8 of the donuts in one sitting?! Yes, we did! Actually, I couldn't really believe until now that we did. Between Allan and myself, I am the dessert lover. What I thought was, we were going to have donuts for a few days kasi I bought one dozen. Sayang naman yung pinila ko ng one hour and a half kung konti lang bibilhin ko di ba? Hihi! But while we were eating these, Allan kept on getting one after another. On a normal day, he would just eat two at most. But not this time! First time nangyari na sunod sunod! So, ako naman, kuha rin nang kuha! Ayun, sugar-rush kami pareho after! Hahaha! Anyway, that's it. 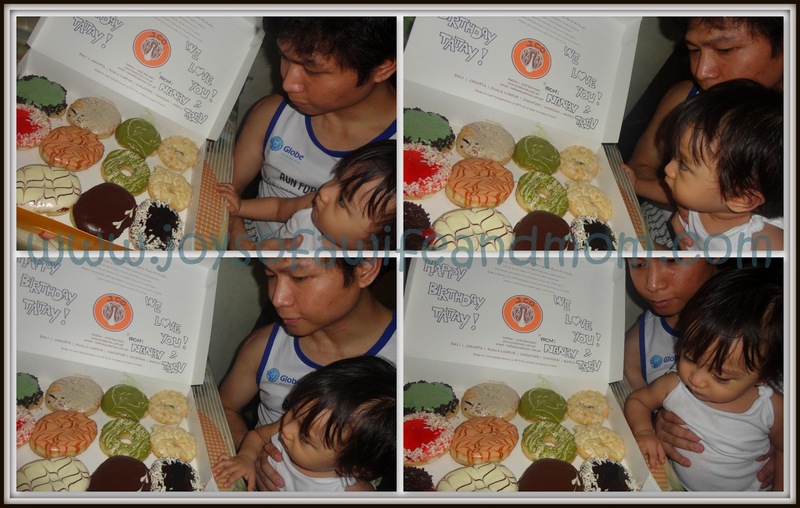 Our super sweet celebration of Allan's birthday! Now I know why everyone loves J.Co. Sana makatikim kami din niyan. Wala kasi dito sa San Carlos City, Pangasinan and wala pa sa neighboring Dagupan. Yes, Mommy Van, taga Pangasinan ako.